When Myrna suggested a “Spam” week, I thought “I don’t think so”, but then I remembered this recipe which I used to make regularly when we had a kid at home. It came with a set of the cards from the 1971 Betty Crocker Recipe Card Library. 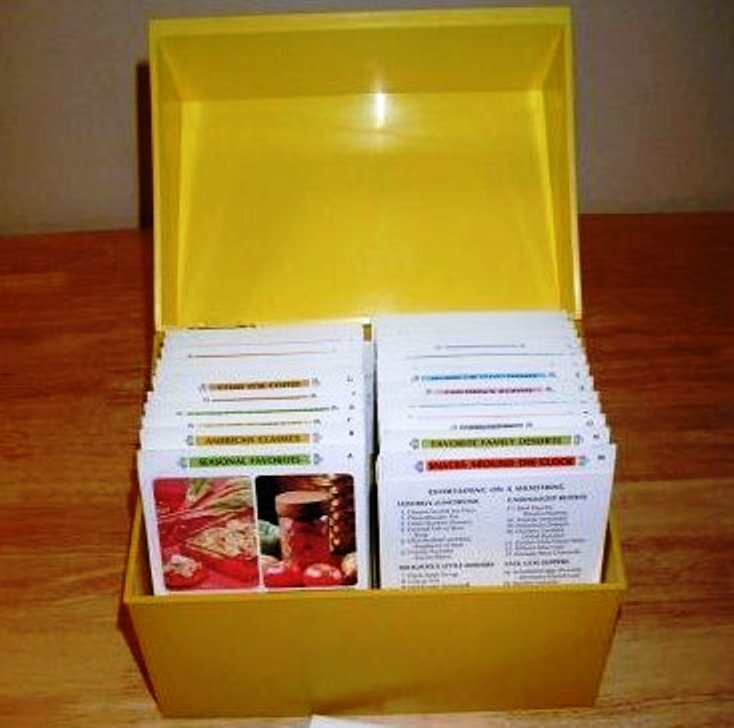 You bought the box and a few sets of the recipe cards and then additional cards were sent every month or so. Of course, most of the recipes used a variety of convenience foods, really beginning to be popular in the early ‘70’s. I picked them up cheaply at a yard sale a year or two after they came out and this was one of the few recipes I kept and used. I also make it with ham instead. Serve it with a green vegetable or salad and fruit for dessert. I made it in my favorite 1970's casserole dish, a covered French Arcopal (the European "Pyrex") casserole I bought from my German landlady's kitchenware shop and brought back with us to the states. I use it often and would hate to have anything happen to it. Cook macaroni; drain. Cook onion and green pepper in butter until tender. (This can be done in the same pan). 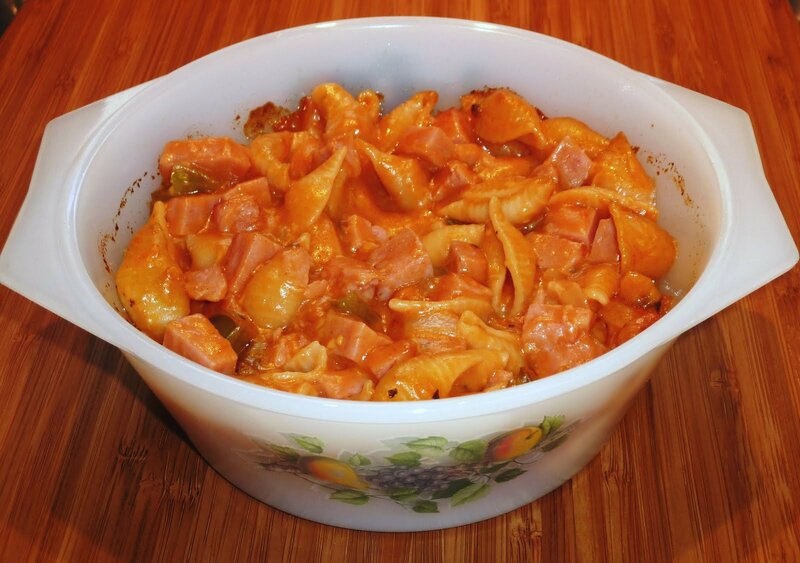 Stir in remaining ingredients; pour into an ungreased 1 1/2 quart casserole, bake, COVERED, 30 minutes at 400°. My Mom would make this while we were growing up in Queens NY in the 70' s and 80's. This was a favorite in our home. I can't wait to make this for my family! I have been looking for this recipe for years. Thanks so much for posting this! OH BOY, I've found this recipe again. 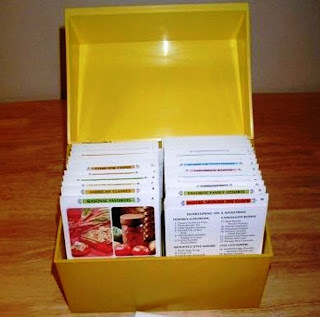 I had this Betty Crocker collection back then when my wife was an AWFUL cook. She finally mastered this one. Thank God for Spam and, as I remember, spiral macaroni. Our four children loved is also and will prepare for their kids as soon as I get this to them.